I think most people can agree Church hunting is not fun. Especially when a church is small.. You are the awkward new people who would love to meet some of the congregation to get a feel for the church but are so nervous you leave as soon as the guitar’s last strum rings through the sanctuary.I had gone to Mars Hill Church in Seattle for the past 6 years so I was a little nervous to find a new church in Boston. We looked at the Acts 29 network website to find some churches affiliated with Mars Hill. Tucker found that City on a Hill was close by. We moved here on a Saturday.. so Sunday morning we got ready and walked to City on Hill Church. They meet in Driscoll Elementary School. We loved it. The sermon was fantastic and the people were incredible. They had small group sign ups after that service so we went to look at the sheets and met a couple from Seattle and the wife was in Physical Therapy school and the husband was out here working. He found out Tucker was looking for work and told him about a catering company he had worked for. Tucker got the job and started working immediately. We had never experienced such grace and welcome from a church community. We joined that couples small group and haven't looked back. Sunday Service. Bible Studies. Birthday Parties. 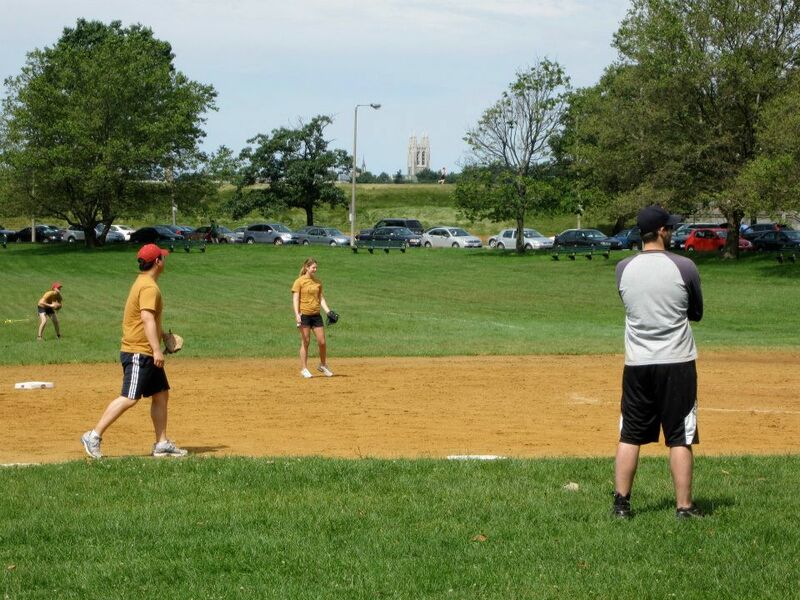 Softball League. Help when our car battery is dead. Rides to the airport. Puppy Sitters. A true family away from family. I honestly don’t know if we would still be in Boston without this church. And if we weren’t still in Boston… I would be without my degree probably sitting on a couch, unemployed filled with regret and embarrassment. Leaving this church will be the hardest thing in May. We will just need to find a way to transport them to Seattle.